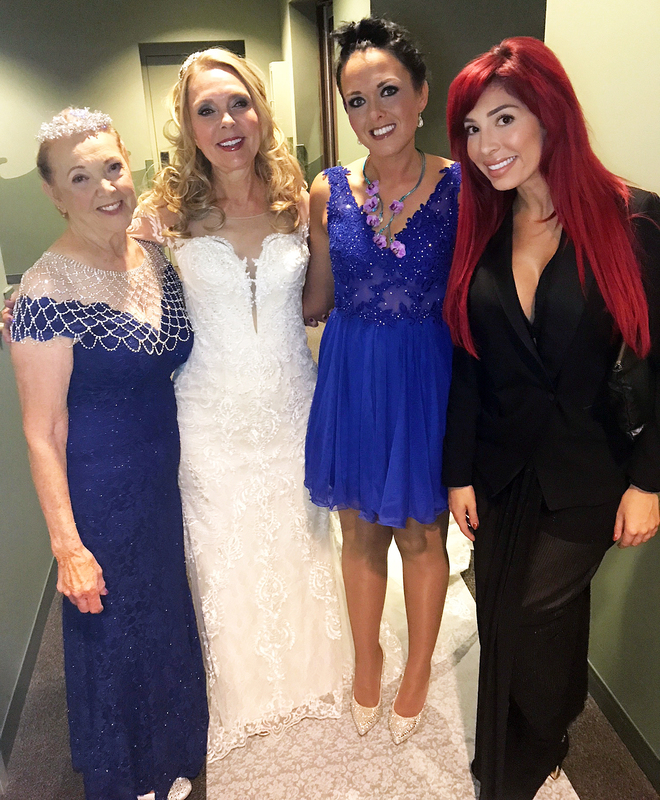 Farrah Abraham attends her mother, Debra Danielsen’s wedding. Family comes first! Farrah Abraham attended her mother Debra Danielsen’s wedding to Dr. David Merz over the weekend. Abraham talked to Us Weekly exclusively about Danielsen’s wedding and being her mom’s maid of honor. Abraham, 26, made it very clear that she did not approve of her mother’s new man on Teen Mom OG, and told Radar Online in September that she would not be there to watch Danielsen walk down the aisle. Abraham and Merz have been at odds ever since they got into a fight during a season 6 episode of the MTV show when the infectious disease specialist criticized Abraham’s behavior. The My Teenage Dream Ended author appeared on Marriage Boot Camp Reality Stars: Family Edition with her mom earlier this year. The mother-daughter duo had it out about Merz asking Danielsen to marry him without the MTV personality’s approval. “If the mother–ker [Merz] cared about your family, he should have planned it with me and asked if that was OK,” Abraham yelled at Danielsen during an episode of the We tv show. A source tells Us cameras were not there to document Danielsen’s wedding because Abraham has stopped filming until a new production company begins working on Teen Mom OG. Teen Mom OG returns to MTV on Monday, November 27, at 9 p.m. ET.